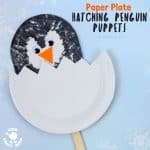 Oh my, how much cuteness can one paper plate craft hold?! 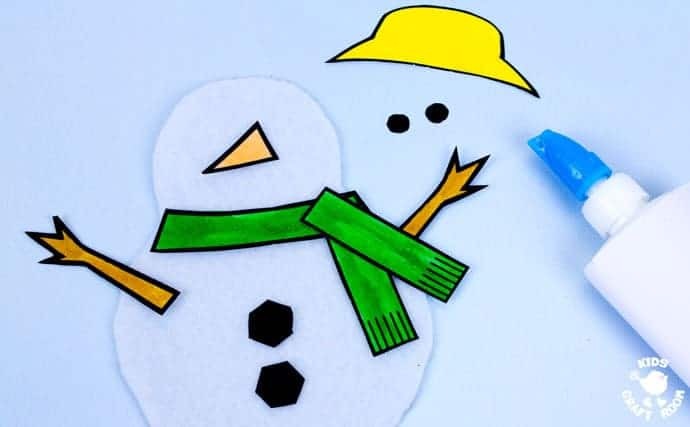 This Melting Snowman Craft tops the bill with adorability. 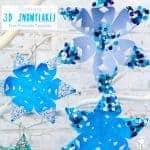 If you’ve got kids that love to build a snowman then this is the Winter craft for them! 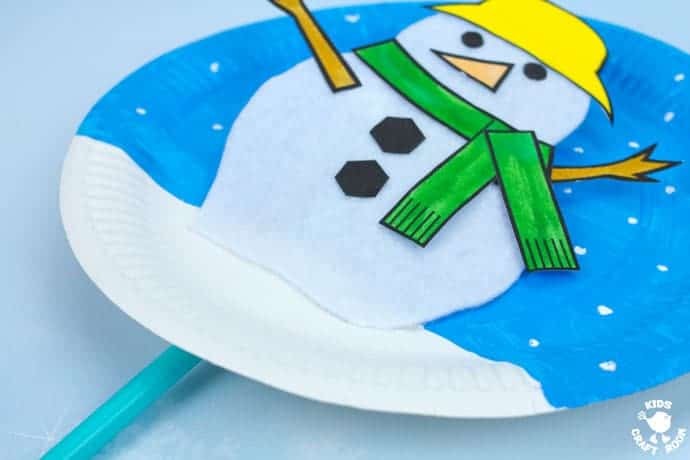 You can easily make this paper plate melting snowman craft using our free printable template. 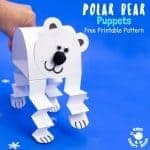 It’s so much fun to make the snowman puppet dance around, melt to the ground and then pop back up ready to start the fun and games all over again! 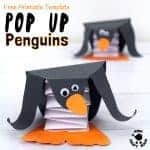 Below we’ve got a step by step photo tutorial for you to follow and a short video too so you can see how fun this melting snowman is in action. 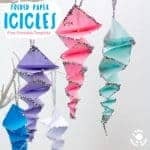 While you’re here take a peek at some other favourite Winter crafts too. 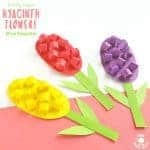 Click on each photo to go to the tutorial. 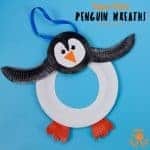 Scroll down for the Melting Snowman craft. 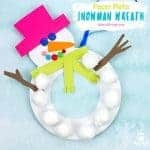 Watch the video below to see how this snowman craft moves, it is super cute and fun! 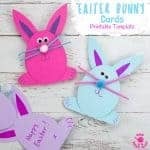 Scroll down for full written instructions and to get you free printable template. 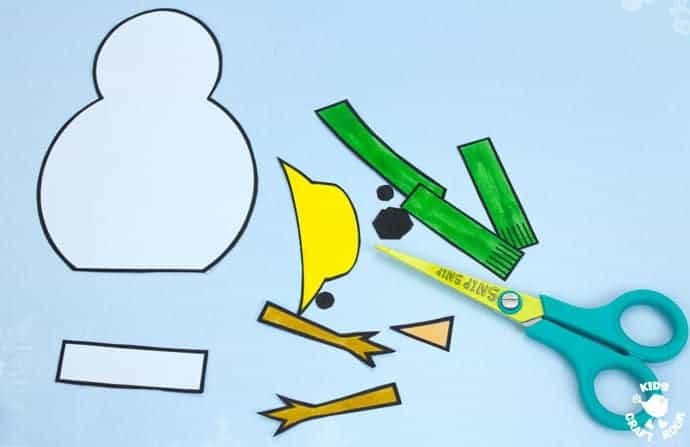 2 – Cut out all the snowman pieces. 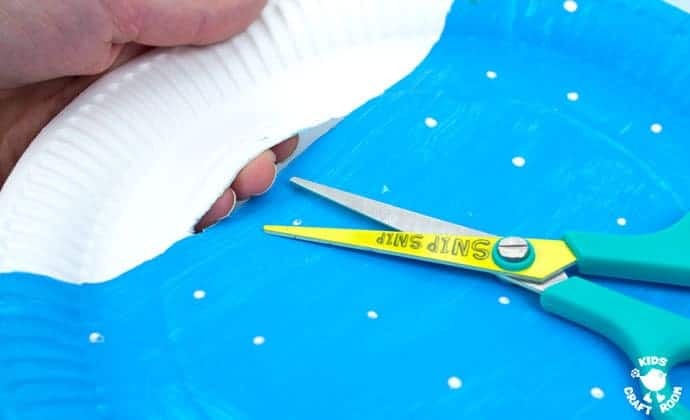 3 – Trace around the Snowman A and B pieces onto white felt or fabric and cut them out. 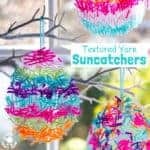 The fabric snowman allows it to bend and move, in other words melt! 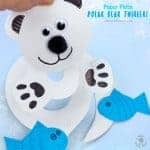 4 – Glue your snowman craft pieces together. 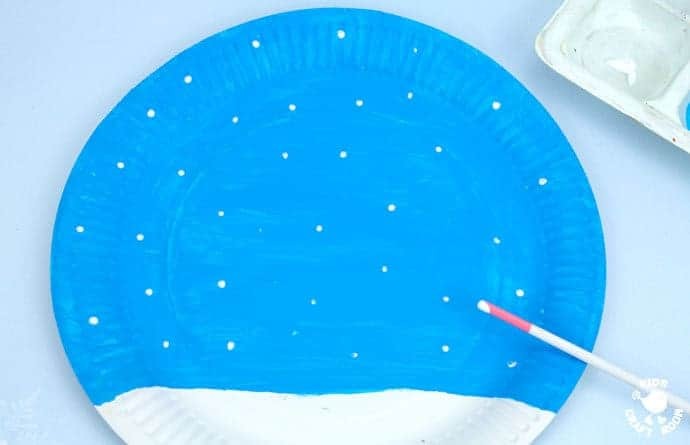 6 – While your snowman is drying paint a paper plate with a sky and leave the bottom blank for snow. 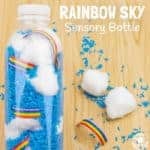 We chose blue for daytime but a black sky for a night time snowman craft would be fun too. 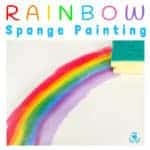 7 – Use the end of a paintbrush to dab on some white snow fall. 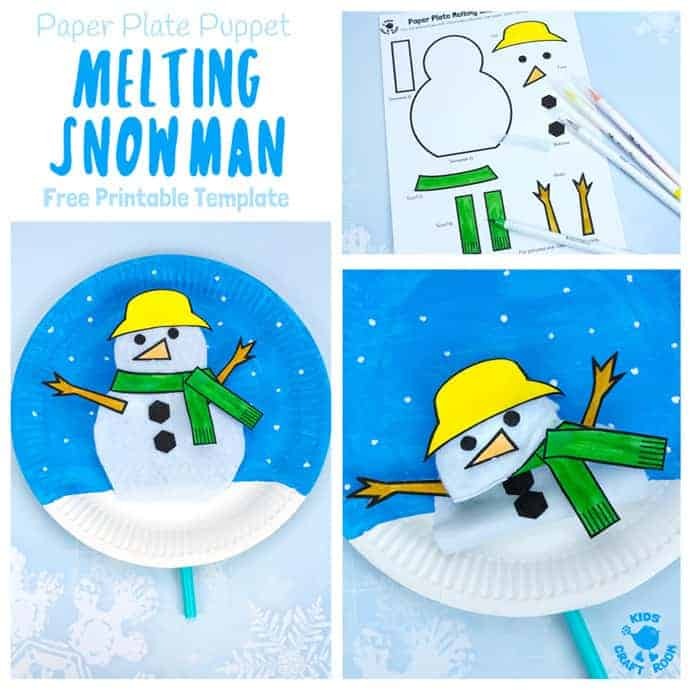 9 – Push your straw through the slit and glue the base line of your melting snowman onto the white part of the paper plate. 10 – Finish off your snowman with a drawn on smile. Now he’s ready to be danced and wiggled about by moving the end of the straw from side to side. 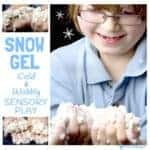 To make your snowman melt just gently pull the straw down. What fun! 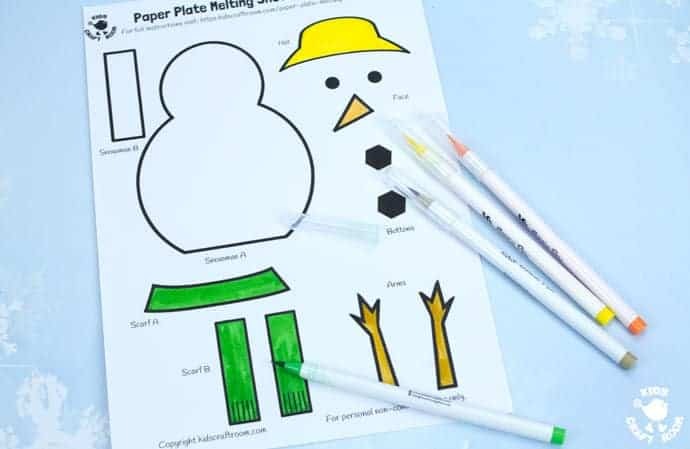 Print and use marker pens to colour your free melting snowman craft template. 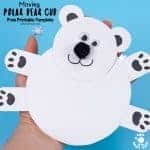 Cut out all the snowman pieces. 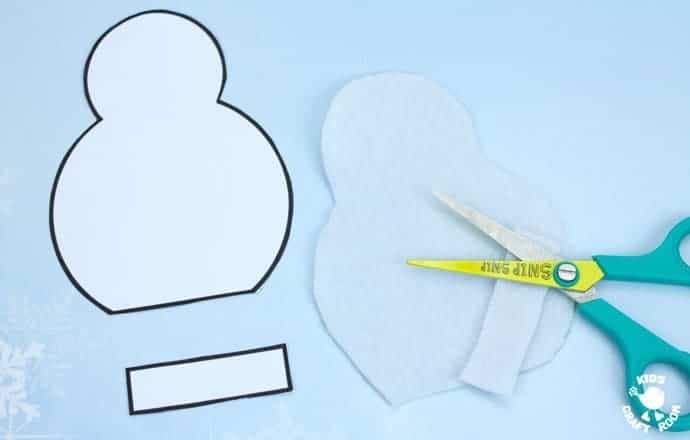 Trace around the Snowman A and B pieces onto white felt or fabric and cut them out. 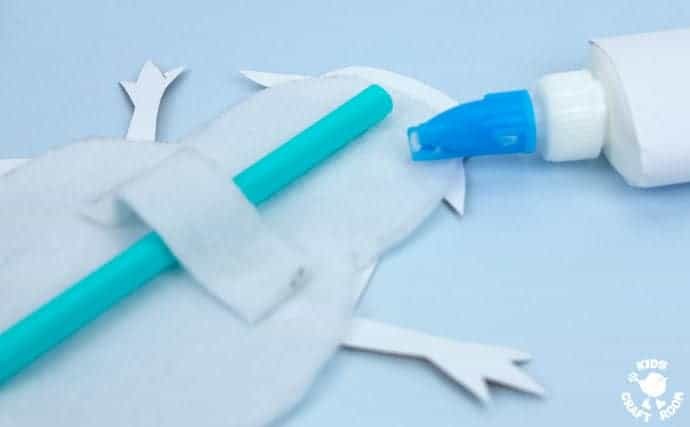 Glue your snowman craft pieces together. 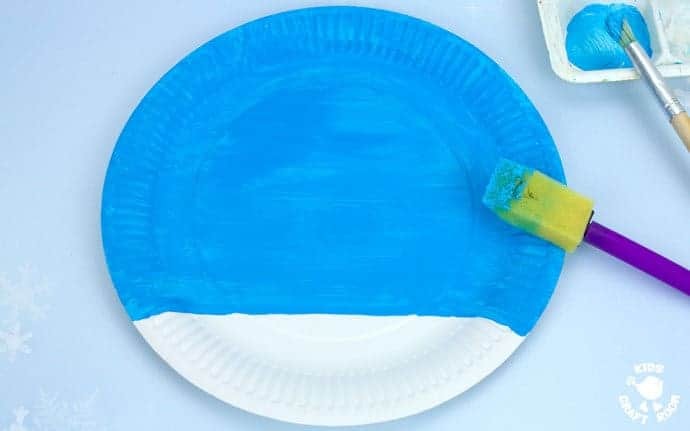 While your snowman is drying paint a paper plate with a sky and leave the bottom blank for snow. 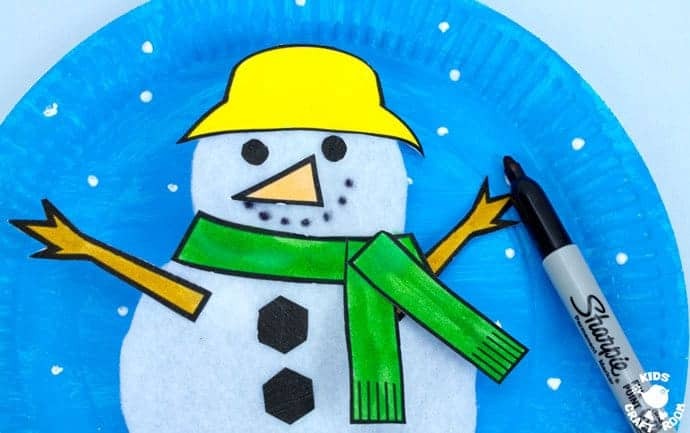 Push your straw through the slit and glue the base line of your melting snowman onto the white part of the paper plate. 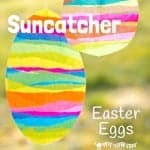 ﻿Finish off your snowman with a drawn on smile. 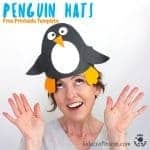 Now he’s ready to be danced and wiggled about by moving the end of the straw from side to side. 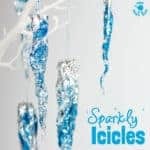 To make your snowman melt just gently pull the straw down.